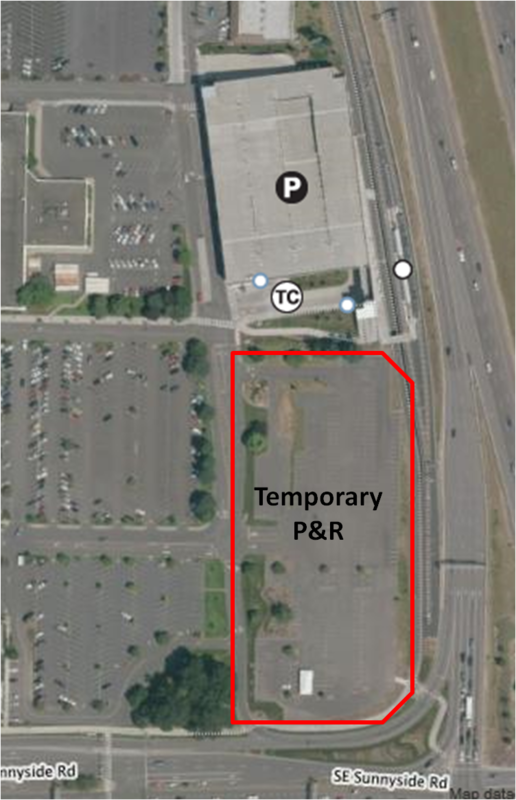 The Clackamas Town Center Transit Center Park & Ride will be closed temporarily from Tuesday, Oct. 7 through Tuesday, Oct. 14 due to a paving project in the Clackamas Town Center parking lot. The paving will block access to the Park & Ride garage during that time. Bus and MAX service to the transit center will not be affected. 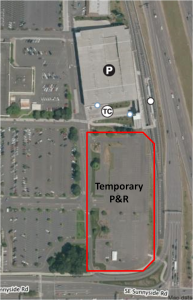 As this is a mall paving project, Clackamas Town Center is providing a temporary Park & Ride in the lot immediately south of our parking garage. Signs will direct users to the temporary area. Mall management is also allowing riders to use other mall parking spots while the Park & Ride structure is closed. UPDATE: Disabled parking permit holders may park on the first floor of the Park & Ride garage in spots marked for disabled parking use. From there, you can access ramps to the MAX platform. We usually see about 400 cars using the Clackamas Town Center Park & Ride on a typical weekday. Two ZipCars are also based at the Park & Ride. Riders who will be parking at the Clackamas Town Center during the closure should plan extra time to park and make their connections. Those catching the MAX Green Line should consider using the SE Fuller Rd Park & Ride, which is about a five-minute drive away and has more than 600 parking spots. TriMet provides many free 24-hour Park & Ride locations for riders and carpoolers. Overnight parking is permitted, as long as your stay does not exceed 24 hours. Always lock your vehicle and do not leave valuables inside. Learn about TriMet’s Park & Ride locations.